We at Stormy Kromer take your privacy concerns very seriously. The purpose of this policy is to inform you about the types of information we gather about you when you visit our website, how we may use that information, and how we disclose it to third parties. This policy specifically does not apply to information collected by email, telephone, mail, or other off-line methods. We hope this policy answers any questions you might have, and that you'll return often to visit and shop with us. 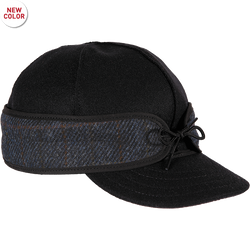 When you purchase a product from stormykromer.com, we ask you to provide information required to fulfill your order. We do not require you to create an account to place an order... you may place an order as a Guest. You will need to provide your name, email address, phone, payment method, shipping address, and billing address in order to process an order. Additionally, should you create an account with us, we'll also require you to create a password. As a stormykromer.com customer, your email address and phone number will never be rented or sold, except as indicated herein. Occasionally, we make special offers available to our customers -- promotions, sales, events, discounts, etc. You may periodically receive e-mail notification from us regarding these special events and offers. If you do not want to receive e-mail notification from us concerning special promotions, savings, events or other important information, simply use the "unsubscribe" link found in the footer of the email. We may share your identifying information with third parties with whom we have engaged to help us provide services requested by you. 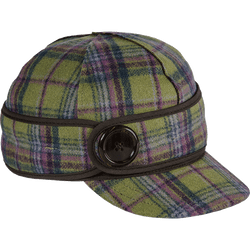 Also, we may share your identifying information among the Stormy Kromer family of companies, who may use your identifying information in the same ways as us. In the event of a sale, merger, corporate reorganization or similar transaction of some or all of our business, we may share your identifying information to the successor entity, and the successor entity may or may not use and protect identifying information in the same ways described in this policy. We may also share your identifying information if required to comply with a law, regulation, court order, or other legal process, or if we believe it is necessary or desirable to share such information with a government entity. We may share your identifying information to protect our rights or property or if the rights of any third party are jeopardized. As you may know, we produce and mail a catalog several times each year. We send this catalog to many of our online customers because we'd like you to be aware of all the great new products that become available each season. 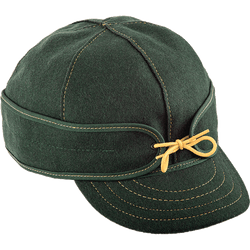 If you would prefer not to ever receive catalog mailings from Stormy Kromer, please visit the Contact Us section of this Website and indicate that you would like to be removed from our mailing list. We do employ cookies (a cookie is a piece of data that is sent to your browser from a web server, and stored on your hard drive) to allow your computer to use all the features on our Website, such as maintain products in your shopping cart as you explore various parts of our Website. Cookies also allow us to know if you have visited our site before or if you are a first time visitor. This provides us with important marketing information and lets us know how we are doing at both attracting new visitors and maintaining relationships with our existing customers. You are always free to decline our cookies if your browser permits, but some parts of the Website may not work properly for you if you do so, including our online ordering mechanism. Should you wish not to accept cookies in your web browser, you may place an order with a customer representative at 1-888-455-2253. We store all of the personal information you provide us when you create an account. If you place an order as a Guest, we store the information we require to fulfill your order. We, and any companies who help us with hosting and security, use a number of physical, electronic, and procedural safeguards to help protect your information. However, there is no such thing as perfect security. You agree that we are not responsible for the unlawful actions of third parties or the consequences of such actions. Your personal and credit card information is encrypted during transmission, and maintained in a secure database. Registered users can update their account information at any time by logging into their account and following the steps to update their information. If you need help updating your information, please visit the Contact Us section of this Website and send us a message or call a customer representative at 1-888-455-2253. This site is intended for adults age 18 and older. It's not intended for or designed to attract people younger than age 18. We don't permit registration by, nor do we collect personally identifiable information from, any person we actually know to be younger than 18. This policy was last updated on January 7, 2015. We reserve the right to change this policy at any time, and will post any changes to this policy on this page or a similar page of this website as soon as they go into effect. Please refer back to this policy on a regular basis.